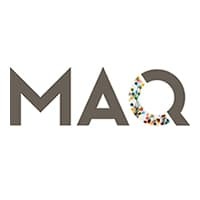 Live Music Event at the Maq Pub featuring Grego Marino & Friends. Modern Acoustic Classics. 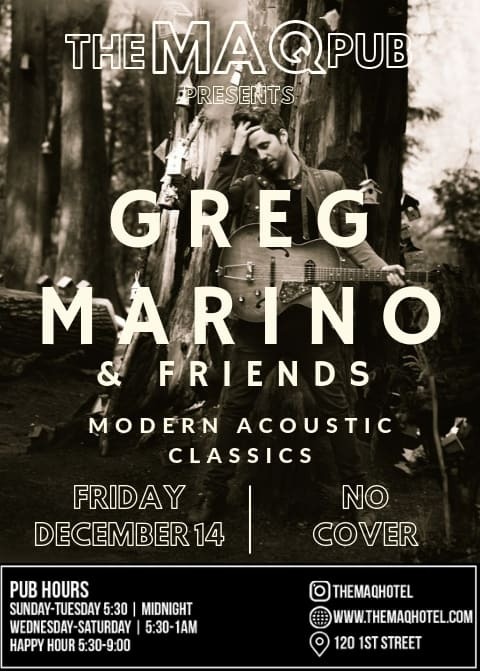 Grego Marino (Montreal/Vancouver) performs with a softness that entertains audiences with renditions of modern pub classics (Fleetwood mac, Bob Dylan, Neil Young and Father John Misty to name a few) His presence is warm and his helpless romanticism leaves crowds swooning for more. Greg usually begins the night with some recognizable tunes and by the end is improvising short stories about the audience. Gregory Patrick Marino Became obsessed with sound and music at a very young age learning ZELDA theme songs by ear. While growing up in Montreal studying Electroacoustics at Concordia University he also performed guitar and sang in groups like Thick Blooded and french pop-rock band ARIEL. Greg harnessed many musical traits and began shaping his own sound, moods and modes of expressions soon after.